Musicians, we need doctors to look after us, and doctors need music to lift their day sometimes. When they’ve had a rough day, and they’ve been 22 hours on the go. And they’re in the car and they just want to switch their brain off, last the music and just take their mind off something. So, everybody serves a purpose. "I was halfway finished with my medical degree when my first record deal presented itself..."
The emergence of R&B singer Jay Sean looks set to redefine the UK’s urban music rulebook. As the UK’s first Asian crossover superstar, Sean has already tasted chart success with the slick anthem Dance With You (Nachna Tere Naal). 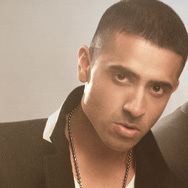 But what makes Jay Sean such an exciting musical proposition is that as a UK born and bred artist his unique appeal is that he fuses ‘Desi’ rhythms with a credible R&B sensibility to produce a thoroughly authentic sound. With the highly-contagious Eyes On You already dominating radio nationally, Sean’s eagerly-awaited debut album has garnered positive critical anticipation from both the streets and the broadsheets in equal measure. It’s not everyday you come across an urban music singer who includes punk and stadium rock as important to his musical upbringing as hip hop and R&B. However, Jay Sean isn’t your run of the mill urban music artist. Having given up a promising medical career in favour of his first love, music, Jay Sean’s story begins more than a decade ago in Hounslow, west London. “I started rapping 11 years ago,” Sean remembers. “I was in a group called Compulsive Disorder, it was a punk-rap group. We got ourselves a few gigs and when DJs such as Choice FM’s 279 played it, we received a lot of local notoriety.” Disillusioned with the UK’s cynical rap scene, focussed as it was, on the colour of his skin rather than the content of his songs, Sean quickly immersed himself in R&B. “Hip hop was my first love, but as soon as I got into producing, R&B became my mistress. As a teenager, I grew up on a cocktail of music. I was surrounded by a lot of different influences from black, white and Asian friends,” says the 22 year old. Integral to Jay Sean’s trademark smooth R&B sound is the flawless production of UK superproducer Rishi Rich. The relationship, as Sean admits, is based on total trust and an obvious appreciation of one another’s respective talents. “Rishi’s an important part of my whole career, he’s fundamental,” says Sean. “He was the one who discovered me and had the faith to encourage me.” For Sean, their initial meeting provided its very own ‘Dr. Dre/ Eminem’ moment. “Some close friends heard an early song I wrote called One Minute. Rishi Rich was one of the people that heard it. I had heard about him through the streets. When we met he asked me to sing for him on the spot! Rishi told his management about me, and on the strength of my impromptu performance, they wanted me to join their crew.” However, as the only Asian R&B singer around at the time, Sean realised that becoming a soul singer was not necessarily the traditional path for what he describes as a “well brought up Sikh lad”. He continues: “Like most people I was always singing around the house, so much so that when relatives came from overseas, I had to sing for them. I was the party trick!” he laughs. The diversity of the album proves that Jay Sean although an avowed entertainer is so much bigger than the ‘Asian R&B’ pigeonhole lazy commentators will unsuccessfully attempt to force him into. Songs such as One Night, On & On and Stolen deal with the universal issues of love, loss and regret to which everybody can relate. On Me Vs Myself, one of the album’s stand-out tracks, Sean takes the opportunity to controversially attack himself. It’s possibly the first time that an artist has attacked himself on vinyl, even Eminem would be proud. “All I do is diss myself!” he laughs. “It’s Jay the singer versus Jay the rapper. I’m hard on myself. In truth, I’m not afraid to have a dig at myself as I try not to take myself too seriously.” As a whole, it’s the different influences that clearly inform much of Jay Sean’s debut album and make the entire project such an intriguing find. Songs such as the massive Eyes On You through to the ultra-spiritual Ramta Jogi, mark Sean out as a singular talent to be reckoned with. Sean’s biggest strength includes not only his versatile vocal talents, pitch-perfect delivery backed with on-point production but the fact that as a young Asian man, he represents a demographic wholly under-served by the mainstream. Sean already enjoys a huge fanbase from his highlyrated weekly Kiss FM show with Juggy D and Rishi Rich. A recent performance in India on MTV Asia, where he performed as part of the Rishi Rich Project to a television audience of 165 million viewers led to a recent chance meeting with superproducer Tim ‘Timbaland’ Moseley and may yet see a Jay Sean collaboration. “Timbaland heard me rap and said he was feelin’ it. So I took him shopping in Southall to get some Indian CDs. He said my vocals were hot, which was really cool, a big compliment from one of the biggest producers on the planet.” With a sound that embraces rather than alienates all races and colours, we can safely say that we’ve got front row seats in witnessing the emergence of the UK’s first Asian R&B superstar. Watch this space.